← Who was Jimmu – Japan’s First Emperor? 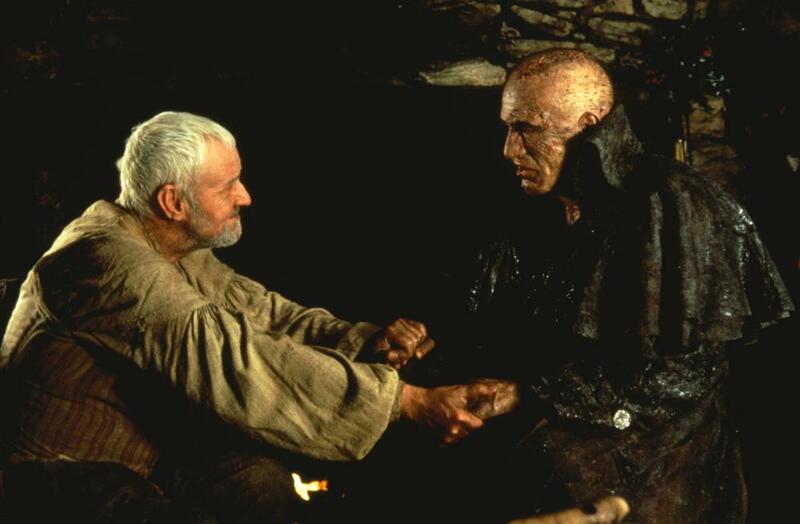 Seven Things You Never Knew About Frankenstein (The Movies)! 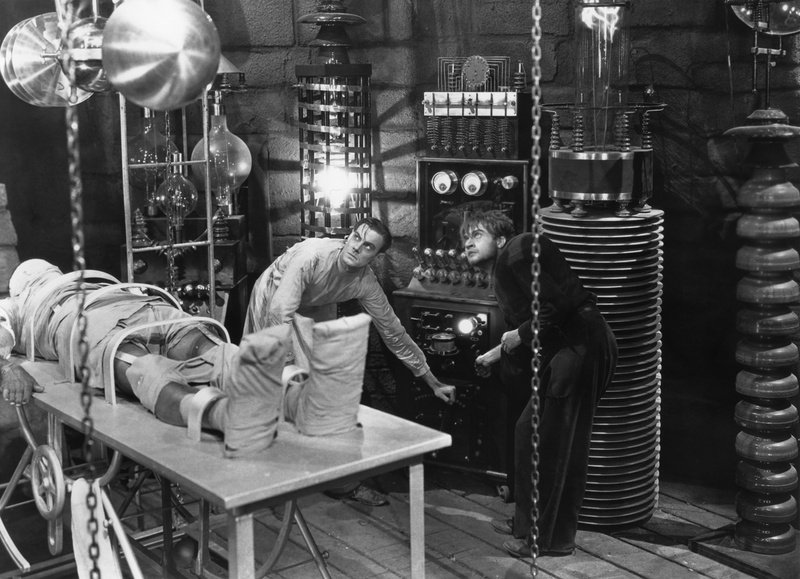 1) The very first film adaptation was a short (16 minutes long) silent film in 1910, entitled “Frankenstein”, produced by the Thomas Edison Film Company starring Augustus Philllips as Dr. Frankenstein and Charles Stanton Ogle as the Creature. 2) Colin Clive, who played Dr. Henry Frankenstein in the timeless 1931 Universal adaptation, was directly related to Lord Robert Clive, the man who founded much of the British Raj Empire in India. Colin Clive first enrolled in the Royal Military Academy at Sandhurst, England, but a riding accident ended his potential military career and he went into acting. 3) Lon Chaney Jr. was originally going to play two roles in the 1943 Universal film “Frankenstein Meets The Wolf Man” – both the Wolf Man and the Creature, which meant the film would essentially became “Lon Chaney Jr. Beats Himself Up”. Universal eventually realized the technical difficulties were too great, and they gave the Creature’s role to Bela Lugosi – who had turned down the role twelve years earlier. He was offered the part that went to Boris Karloff, creating the iconic image of the Creature in the 1931 “Frankenstein”. 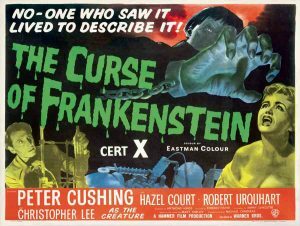 4) Just before he was offered the part of Baron Victor Frankenstein in “The Curse of Frankenstein” (1957), Peter Cushing had considered his career to be a failure, and he was about to give up acting and go into business designing scarves. 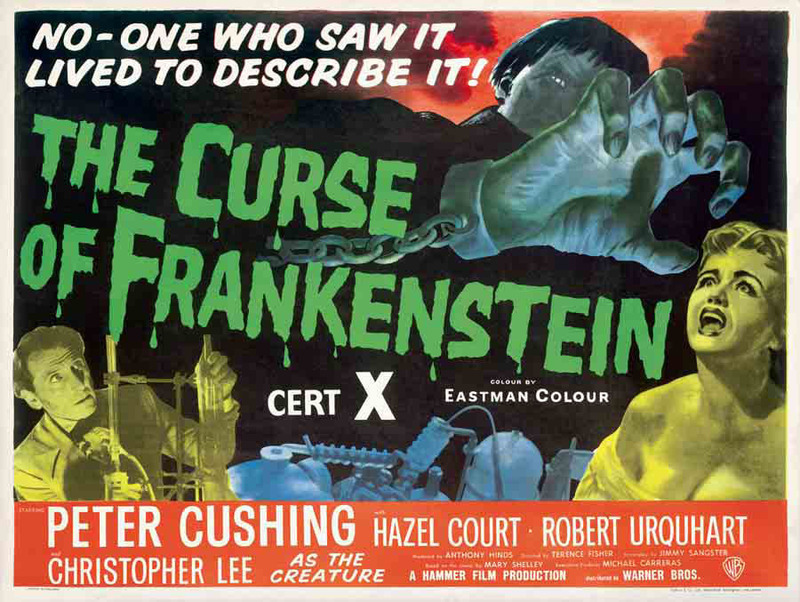 The movie (with Christopher Lee as the Creature) was an instant hit, becoming the highest earner produced by a British studio in 1957, and ushered in the “Hammer Age of Horror”. 5) The Japanese studio Toho adapted the story for the Godzilla/kaiju market in “Frankenstein Conquers the World” released in 1965. In the international version (not the US or Japan versions), the Creature is killed in an apparently random encounter with a giant octopus that appears in the last reel. The octopus was actually the kaiju Oodako from “King Kong Vs. Godzilla”, released in 1962, so if you hadn’t seen the earlier movie then the ending would be … confusing. 6) Peter Cushing played the Doctor and Dave Prowse played the Creature in “Frankenstein and the Monster from Hell” (1973). Four years later, they would meet again on the set of “Star Wars” – with Cushing as the Grand Moff Tarkin and Prowse creating the menacing presence of Darth Vader. 7) The part of Dr. Frankenstein has been played in the movies by actors such as Basil Rathbone, Gene Wilder, Ian Holm, Raul Julia, Kenneth Branagh, and Sting. The Creature has been played by Boris Karloff, Bela Lugosi, Western Cowboy actor Glenn Strange, Christopher Lee, David Prowse (twice), David Warner, Randy Quaid, and Robert DeNiro, among countless others. 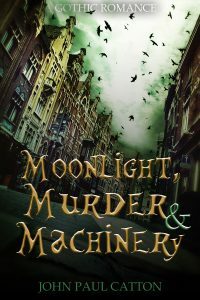 As part of the Frankenstein 200 campaign, Excalibur Books is selling discount ebook editions of “Moonlight, Murder & Machinery” – a Steampunk Gothic Romance set in an alternative Regency England. A baffling series of crimes leads Royal investigators, Byron, Shelley and Keats to the beautiful and headstrong Mary Godwin. Mary is plagued with prophetic nightmares about a scientist intent on creating life from the bodies of the dead. Shelley finds himself emotionally entangled with Mary as the investigation deepens, but this only draws them deeper into peril … what gruesome artifacts are being smuggled into the land through Cornwall? Who is the ghostly highwayman who haunts the countryside’s lonely turnpikes? Why is the elusive enemy able to anticipate the Chosen Men’s every move? – Amazon 5-star review by John McNee. Buy “Moonlight, Murder & Machinery” here! This entry was posted in Alternative History, Horror, Science, Science Fiction, Steampunk. Bookmark the permalink.